Hong Kong is a city-state situated on China's south coast and enclosed by the Pearl River Delta and South China Sea, it is renowned for its expansive skyline and deep natural harbour. It is a major tourist destination as well as being one of the world's major business centres. It is also a bustling port and commercial centre with many luxury hotels and a highly developed transport system. Places worth visiting include Tsimshatsui complex – shops, restaurants and a space museum, the harbour and its magnificent skyline, The Peak – take a tram to the 'top' of Hong Kong Island for exceptional views and the Peak Tower, night markets, Ocean Park, with performing dolphins and killer whales, the floating restaurants, Repulse Bay, with the Tin Hau Temple overlooking the beach, Stanley Market, the New Territories countryside, the Chinese markets; Miu Fat Monastery, Chinese temples, Aberdeen, Lantau Island and the splendid Po Lin Monastery. There are delightful beaches on the islands of Lantau, Lamma and Cheung Chau. 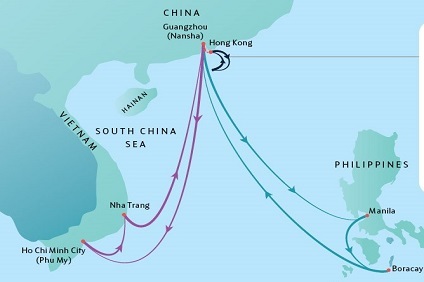 Port Location – Victoria Harbour is the harbour between the Kowloon Peninsula and the Hong Kong Island of Hong Kong. The harbour is famous for its spectacular panoramic views, and is located close to the city. Transport Links - There are many direct flights to Hong Kong to and from every continent in the world except South America and Antarctica. 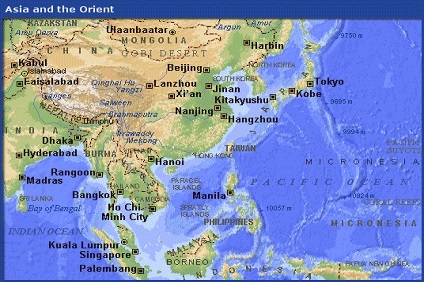 Flights between Hong Kong and other major Asian cities are extremely frequent. 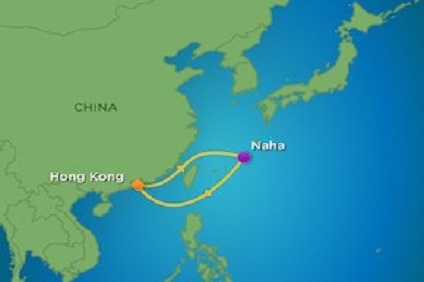 Hong Kong is only a 1 hour hydrofoil ride away from Macau, and there is good connections to mainland China as well. Kowloon Canton Railway runs regular Through Train service between Guangdong Province, Beijing and Shanghai. Hong Kong has an extensive public transport system including the underground, train, tram, bus, ferry, car and cable car. 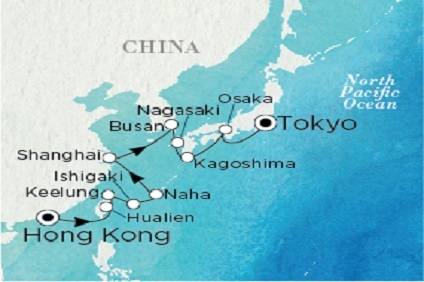 5 Night Cruise sailing from Hong Kong roundtrip aboard World Dream. 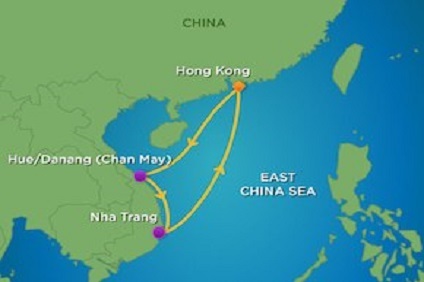 5 Night Cruise sailing from Hong Kong roundtrip aboard Voyager of the Seas.